Oh Snaps! That's tight...: Air Jordan 11 (Concord) Re-Release Date Set! Previews of the Nike Air Jordan 11 have been poplin up online the last few days - but today the release date was announced. 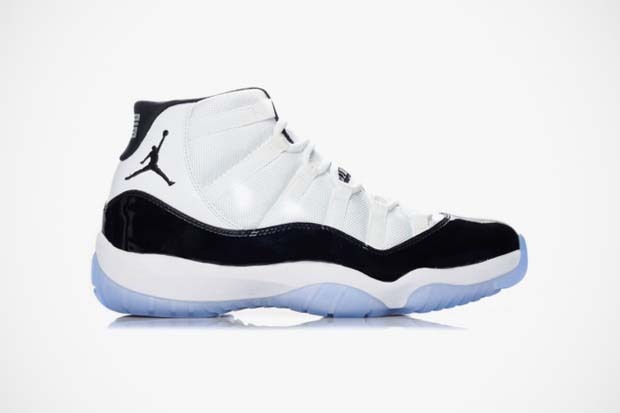 This upcoming December 23rd, the Air Jordan 11 in the original Concord colorway is going up for sale for only the 3rd time. This is a certified classic, so expect long-lines, crazy online mark-ups, and to be honest, a lot of disappointment if you aren't able to secure for yourself a part of history. Check out more pictures of the 11's over at NiceKicks.